Nice three bedroom brick home with sunroom, large entertaining patio area and separate studio/workshop. Great block of 1,100m2, fenced and backs natural bushland. 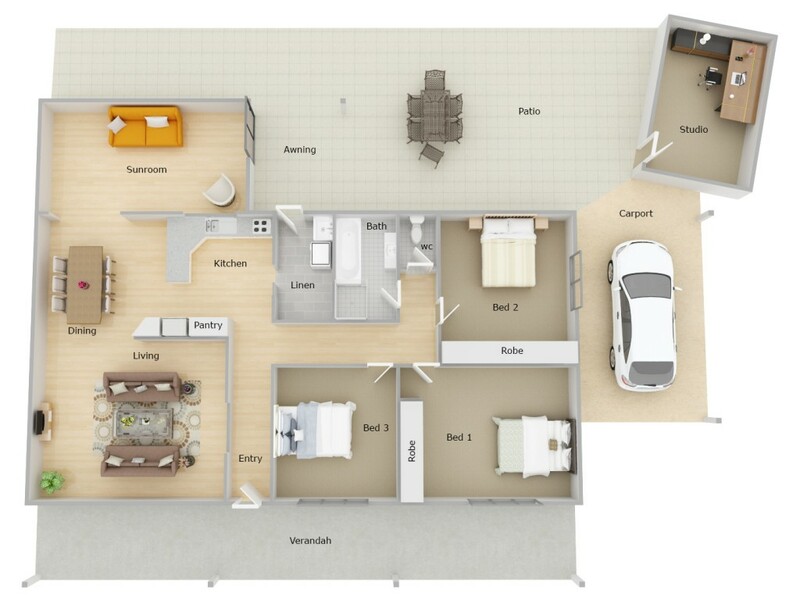 Added bonus reverse cycle air-conditioning, timber kitchen, built-in wardrobes, front veranda and carport. Handy location, walk to station (500m) and set well off the road, this home will be the perfect investment property or first home.